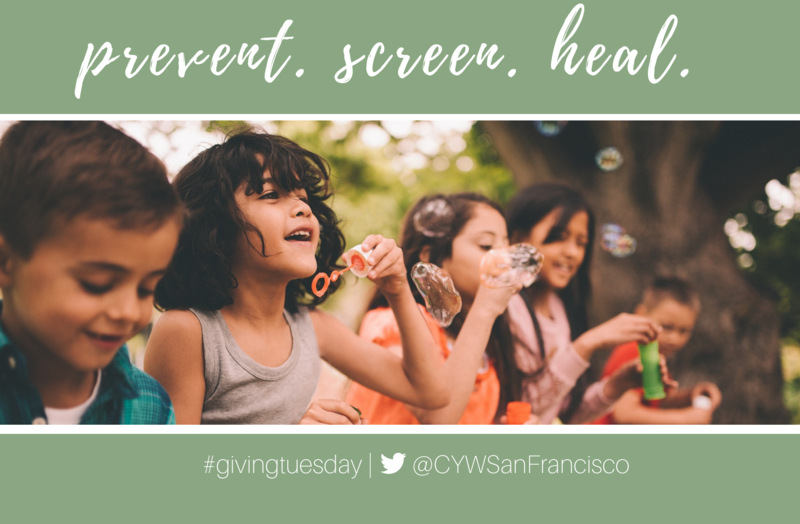 Center for Youth Wellness is a national leader in the effort to transform pediatric medicine, raise public awareness, and change the way society responds to children exposed to Adverse Childhood Experiences (ACEs) and toxic stress. Our vision is that every pediatrician in the United States will screen for ACEs by 2028. Join in the spirit of giving this holiday season as we embark on our most ambitious Giving Tuesday ever! This year, every dollar raised to prevent, heal, and screen for ACEs across the country will be matched by a generous donation from the JPB Foundation. The Center for Youth Wellness is 100% philanthropically funded - we could not build this movement without your support! Thank you for your commitment to children and families who experience toxic stress and adversity. *New donors and gifts from current donors that exceed prior amounts. Center for Youth Wellness has partnered with Give Lively to securely process your online donation. This transaction will appear on your credit card statement as "Center for Youth Wellness". This transaction is subject to Give Lively's Terms and Privacy.